A four-hour boat trip leaving from Tamarindo and going to Marbella looking for surf spots and being able to choose what is best for your level and expectations. The farthest point would be Marbella. What to bring: Surfboard Swimsuit Towel Hat Sunscreen Comfortable shoes and sandals Includes: Transportation Capitan/guide Water Fruit Duration: 4 Hours Minimum of 4 people Please tell the captain if you normally get seasick to address the situation. A four-hour boat trip leaving from Tamarindo and going to Langosta, Pinilla, Avellanas, and Negra beaches looking for surf spots always seeking to choose what is best for your level and expectations. The farthest point would be Playa Negra. What to bring: Surfboard Swimsuit Towel Hat Sunscreen Comfortable shoes and sandals Includes: Transportation Guide Water Fruit Duration: 4 Hours Minimum of 4 people Please tell the captain if you normally get seasick to address the situation. 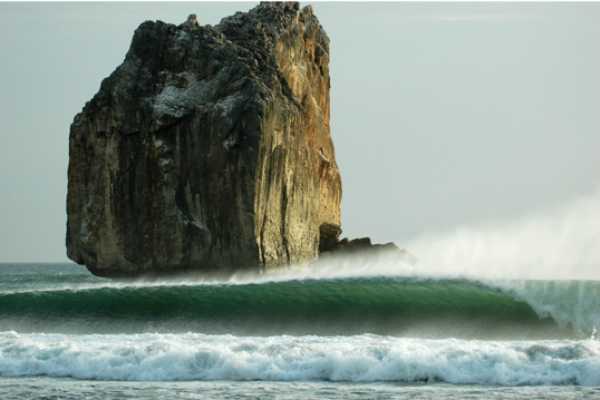 Boat Trips to Santa Rosa National Park Witch’s Rock is considered one of Costa Rica’s best surf spots. Made famous by Robert August in the movie Endless Summer II, Witch’s Rock (or Roca Bruja as the locals call it) provides world class surfing along its sand bottom beach break almost every day of the year. Ollie’s Point (called Potrero Grande by the locals) is a right-hand point break located only a few miles north of Witch’s Rock, which also will be visited in this trip. What to bring: Swimsuit Towel Hat Suncreen Bug spray Comfortable shoes and sandals Surfboard Includes: Roundtrip transportation from Tamarindo to Coco Boat from Witch's/Ollies Water Fruits Pick up time will be based on tide time Minimum 4 persons Please tell the captain if you normally get seasick to best address the situation.